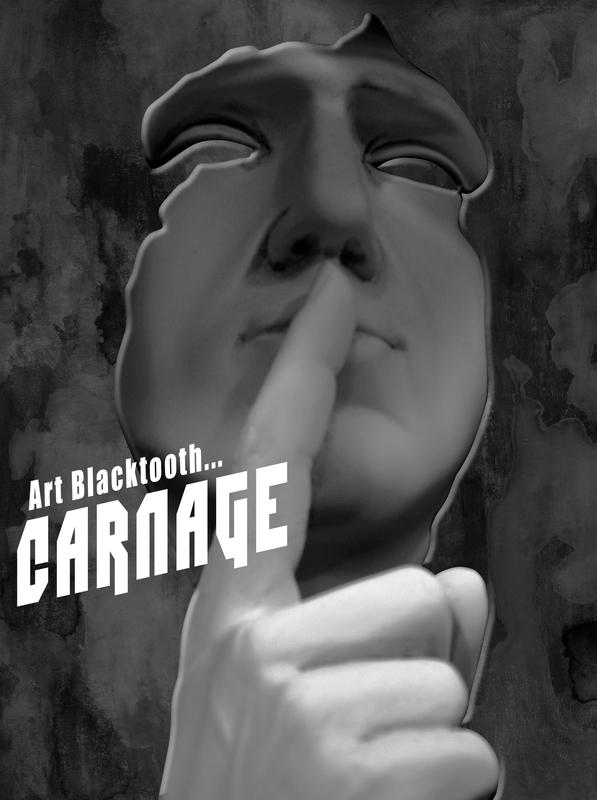 Carnage was written to expose a certain primal feeling we all struggle with from time to time, a primitive impulse that often makes us uncomfortable and insecure, especially from the quiet confines of relationship and marriage. It is the urge to rebel from our station to indulge in forbidden pleasure. Such urges may transcend our notions of sexuality, they may represent any dormant whims that go against our good senses of faith. While it is silly to encourage anyone to act upon such impulses, to deny their existence is to deny human nature. It is no strange fate we stand here before each other, two distant fires burning with unchained fury, a longing for unspoken chemicals and nights filled with sweat. Indeed, it is heresy to speak these words, to reduce our dreams to a hopeless cinder of expectation. Our whims have betrayed us, a conscience of vows reduced to low sparks of indifference, a blank history filled with shrinking hearts and anger. Let us restart this clock tomorrow, a second breath for love and the dirty blood that follows. Let ancient memories fade, these fevers of flesh and whiskey, a banquet for friends who have passed their buck and called it a day. The rules have always been there – obey and disobey. Witness the sand as it passes through an hourglass of faith, a tradition passed by cellulose and drunken moons. This is marriage, a bland habit of misery followed by generations of smiling brides, each glib in their expectation of man – a dumb beast who wishes only to fart.